The lakes and tributaries of New York State’s famed Finger Lakes are home to some of the finest freshwater fishing in the Northeast, with salmon, trout, bass, muskellunge, walleye and many other species targeted by anglers from shore, in stream, and in boats using conventional and fly tackle. If it can be caught in freshwater, the Finger Lakes nearly has it all. 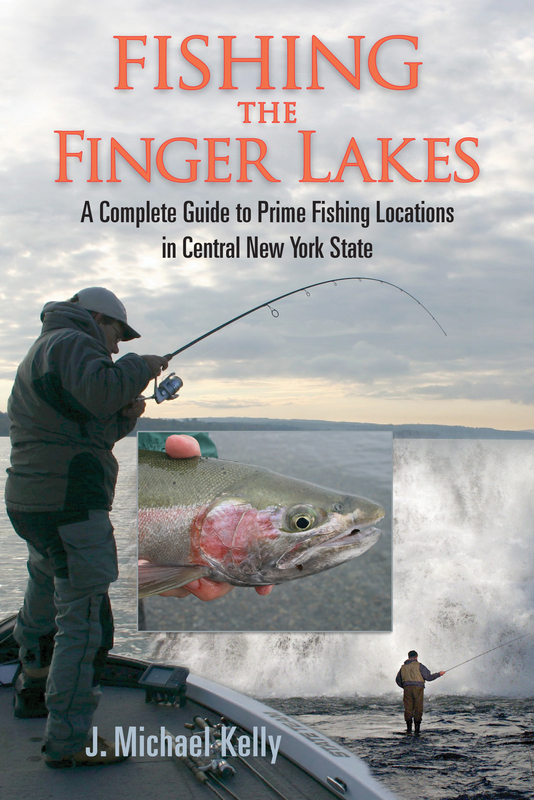 FISHING THE FINGER LAKES gives an insider’s look at the where, when, and how of fishing these fabled waters, from a seasoned angler who has fished this area intensively. FISHING THE FINGER LAKES covers all eleven of the Finger Lakes, plus their major tributary rivers and streams, along with significant smaller lakes and ponds of the region. The book details where to fish for selected species, gives seasonal tips on when the fishing is best, and covers tackle and technique anglers can employ for maximum success. Every angler in the region, beginner to advanced, will find this book indispensable. J. Michael Kelly was the outdoors columnist for the Syracuse Post-Standard for sixteen years and has contributed thousands of articles for a wide variety of outdoors publications. He is a 23-time first-place winner of awards from the NY State Outdoor Writers Association. He lives in Marcellus, NY.